Welcome to the most developed indoor karting track in Poland! 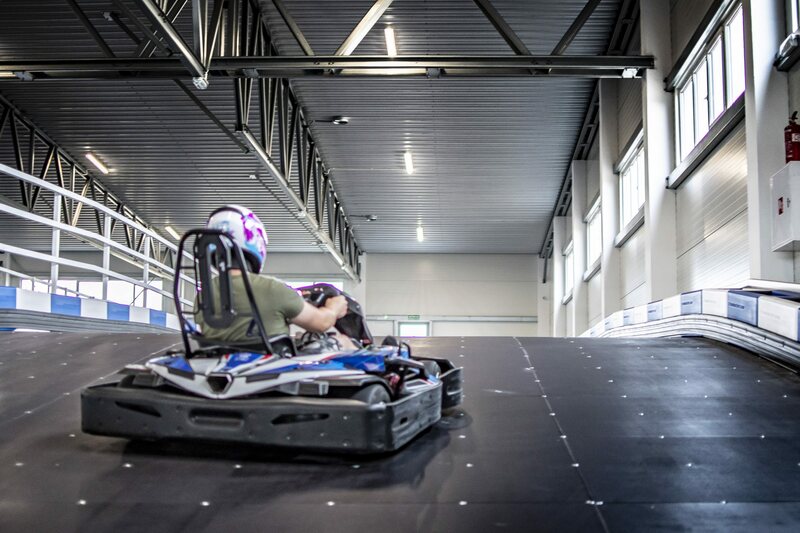 From the basics we created a place where all expectations will be met – both from professional and amateur drivers. 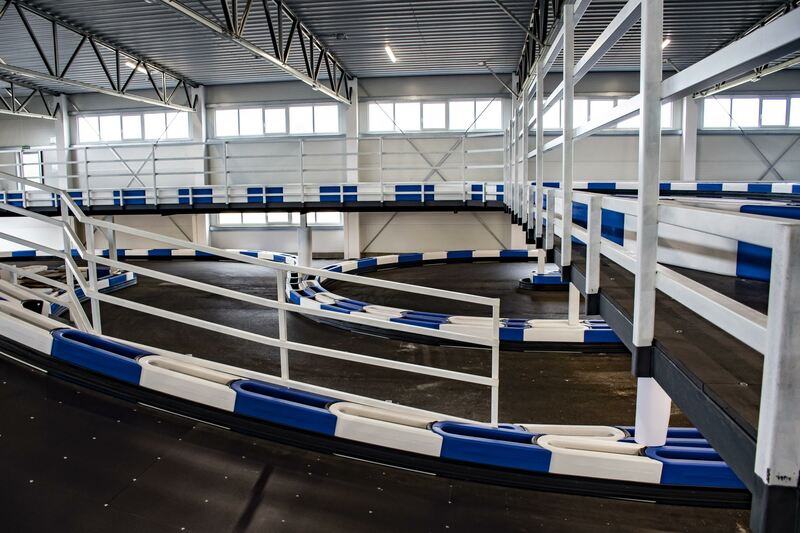 On the 4500 square meters we offer 450-meters long indoor part track with 2-level and outdoor 150-meters long part. Our track in Poznan is the result of few years’ experience in running karting track in Kielce and visiting tracks around the whole Europe. 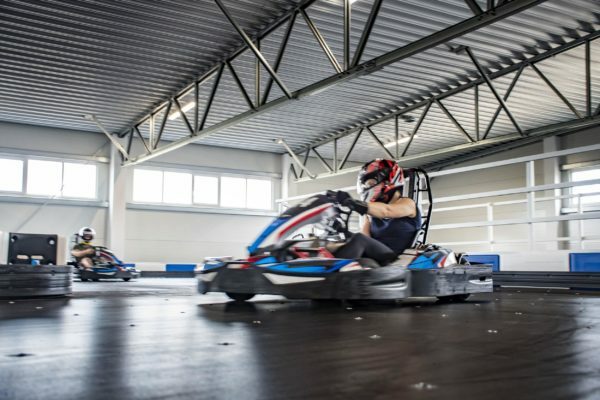 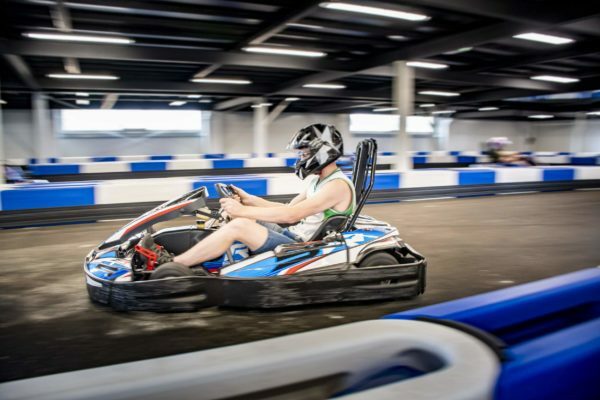 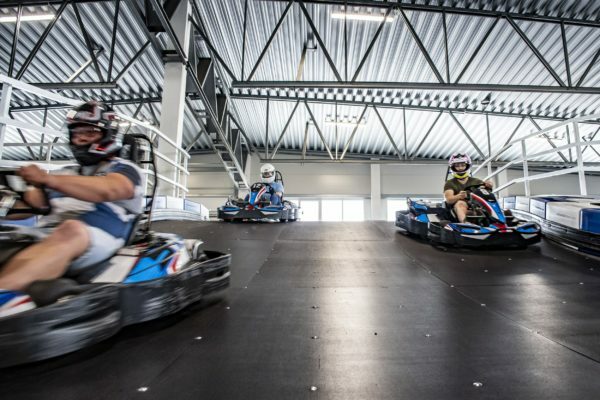 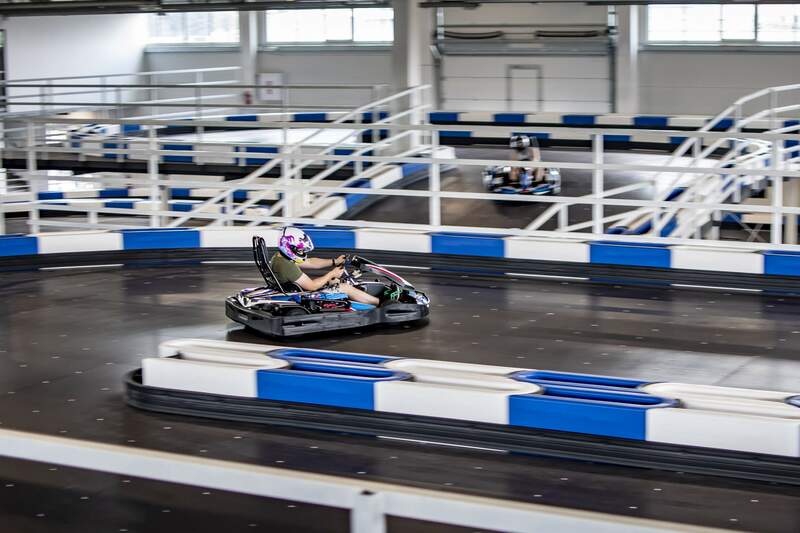 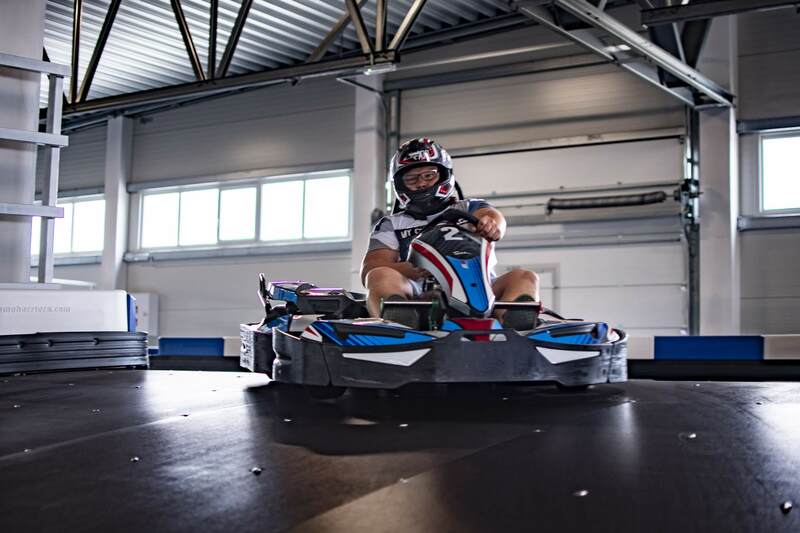 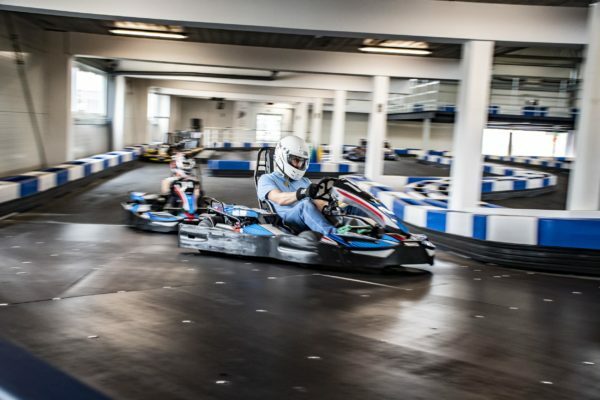 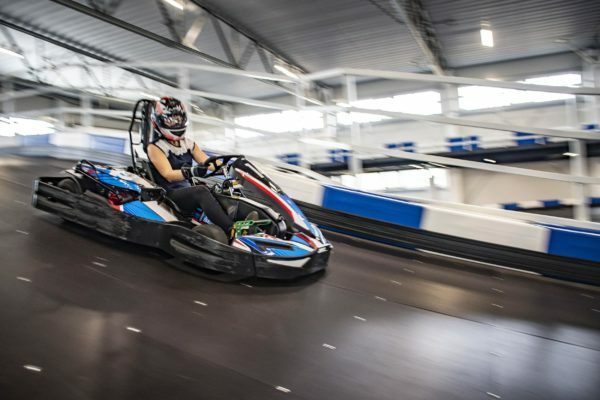 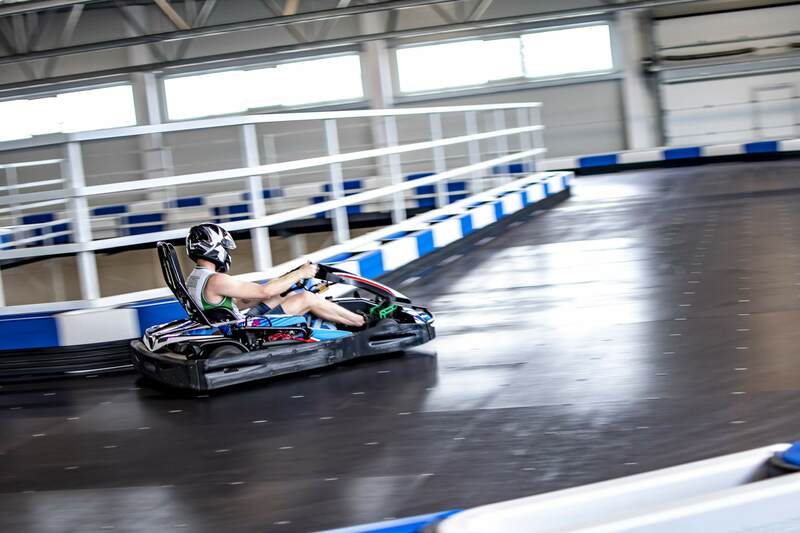 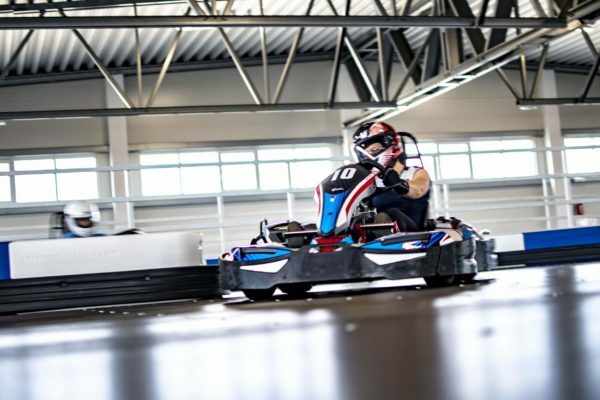 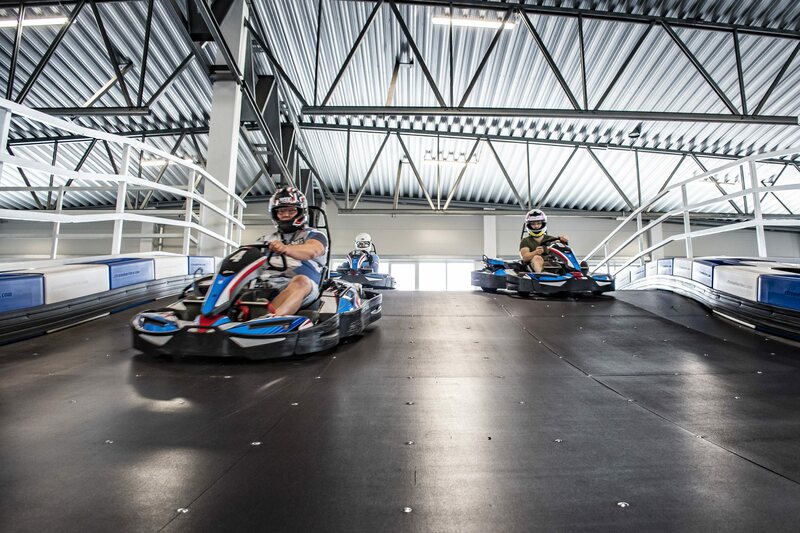 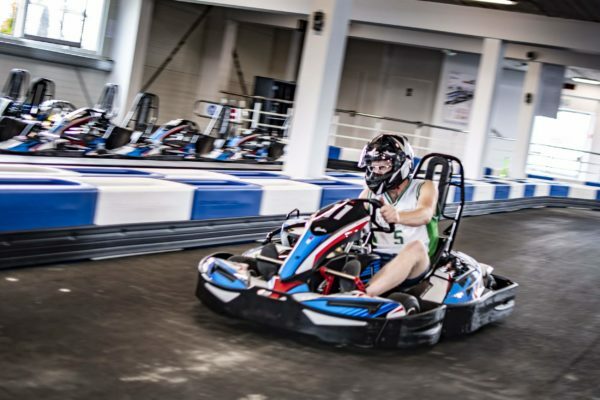 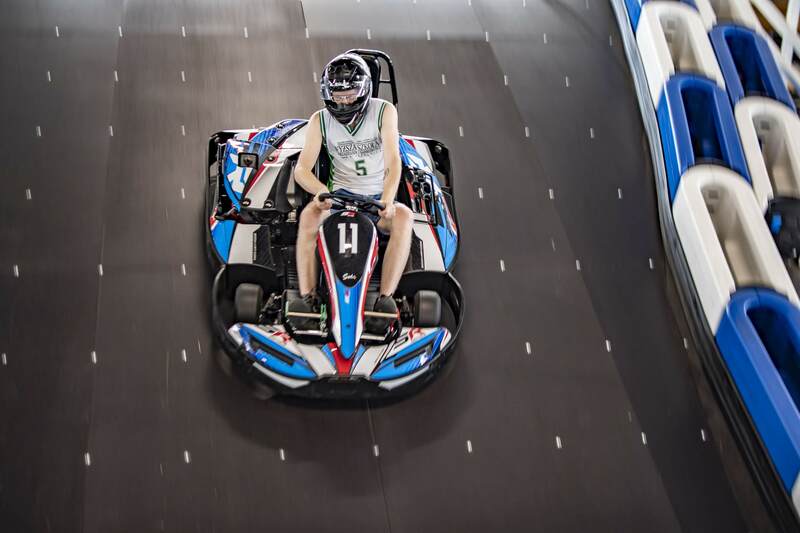 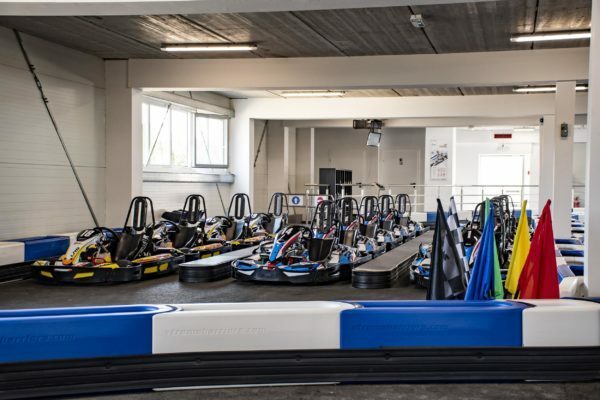 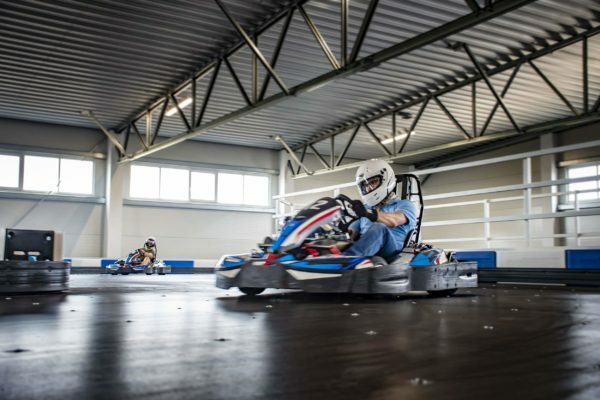 The goal was clear – create the most developed indoor karting track in Poland. 2-level, fast, technical track and the most advanced equipment provide unique experience. We offer safety features provided by Xtremebarriers – the most developed company in the karting market which gives you possibility not to worry about anything but fun! 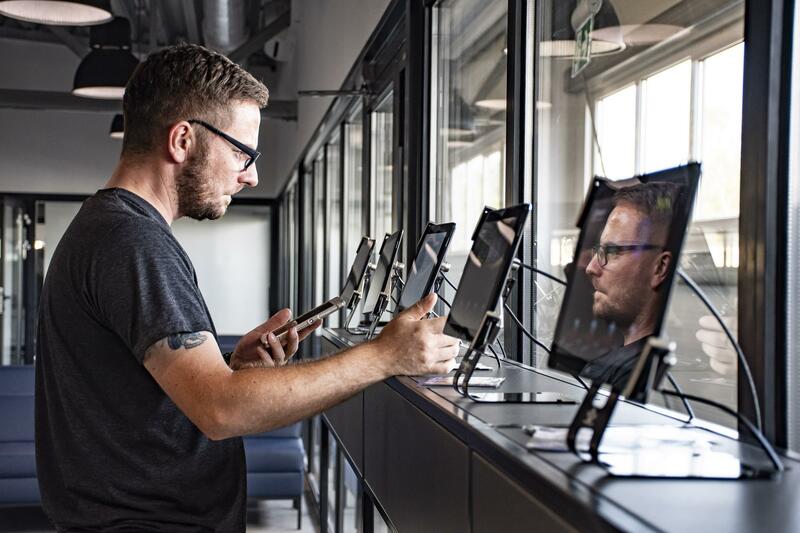 Mezzanine over the pit-stop is the place, where reception is located with racing café and two conference rooms (30 square meters and 150 square meters) created for rent. 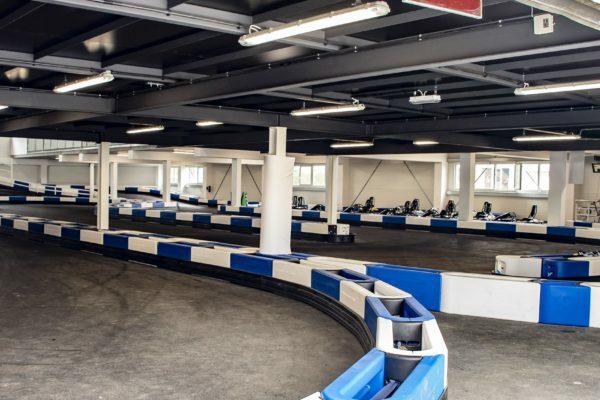 Mezzanine provides perfect conditions for spending free time and watching racing track. 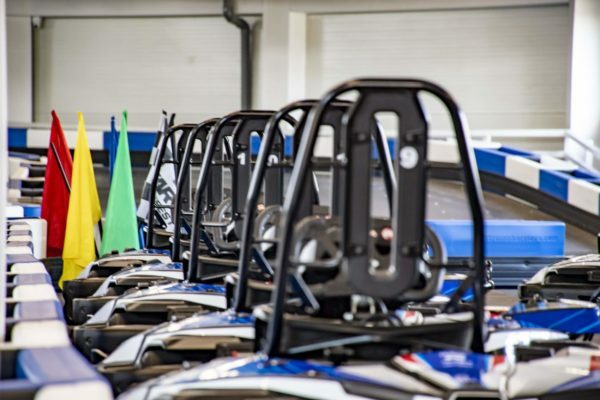 All the time our team is at your disposal: recepcja@e1gokart.pl or by phone +48 607 111 125. 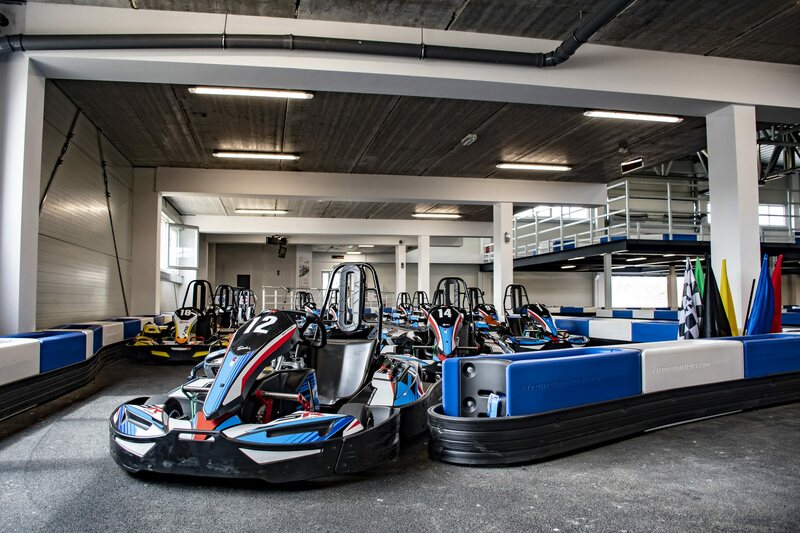 Air-conditioned, comfortably equipped conference rooms are designed for organizing events both private and corporate. We offer complex offers for creating integration parties, trainings or conferences. 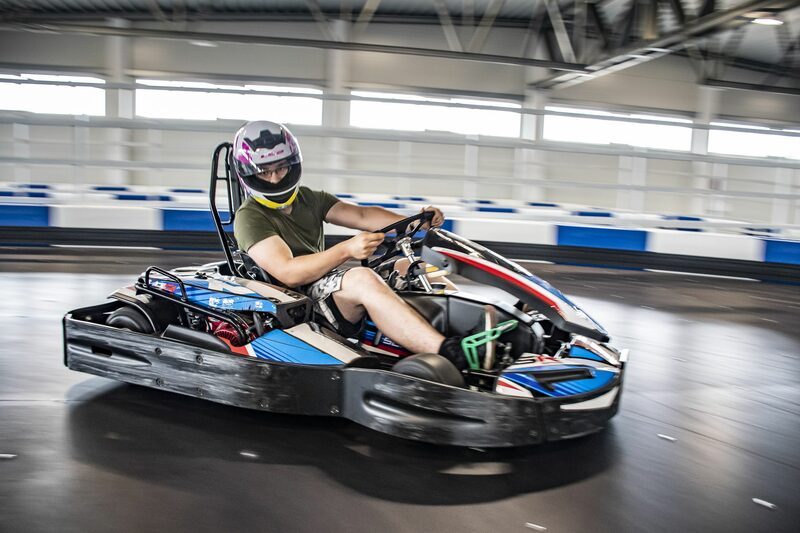 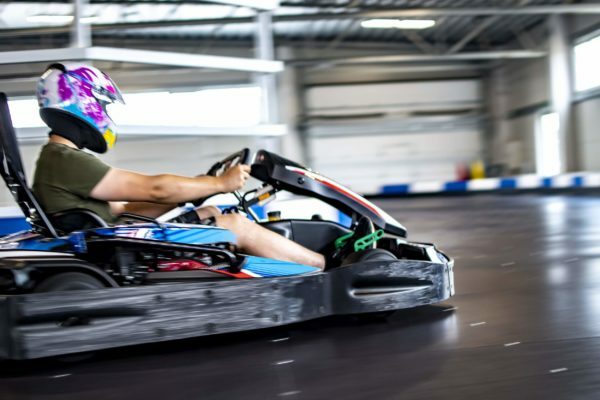 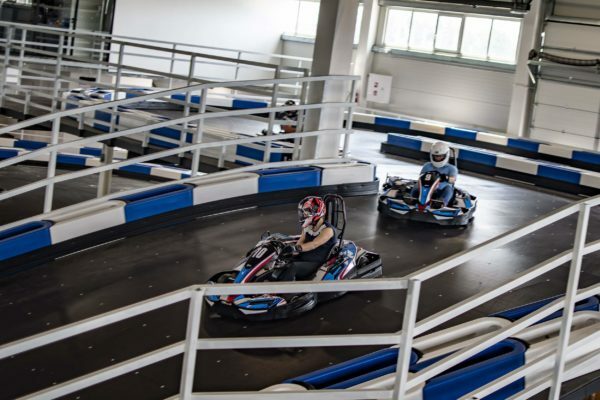 E1Gokart is the place where business meets actively spent time at the karting track. 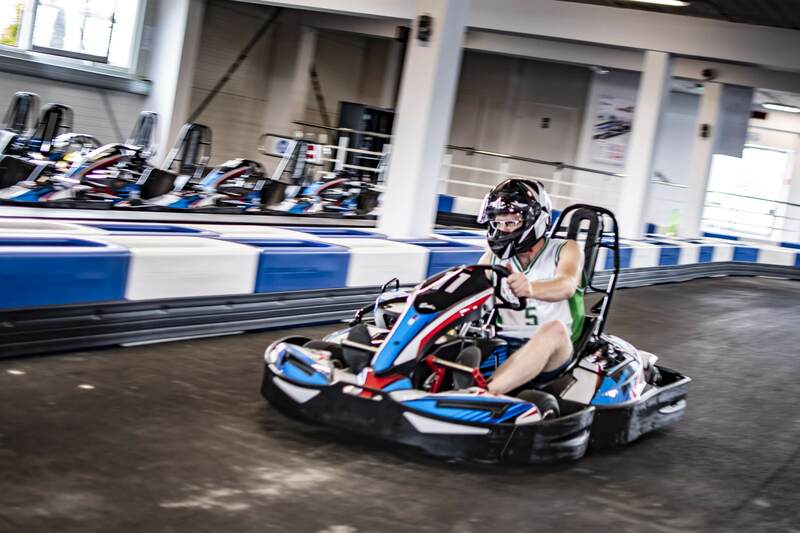 We also offer prepared in the racing atmosphere private parties – meetings with friends, birthday parties or stag parties. 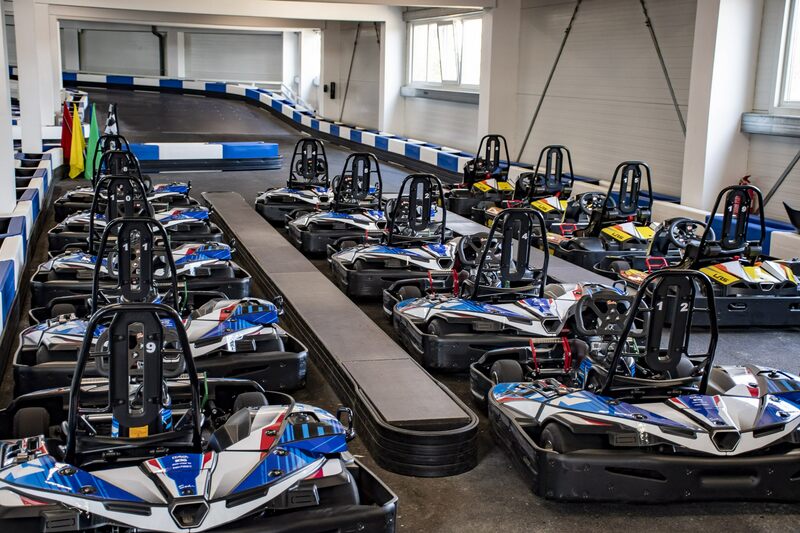 For more details please contact directly with our Event Manager: imprezy@e1gokart.pl or by phone +48 693 111 274. 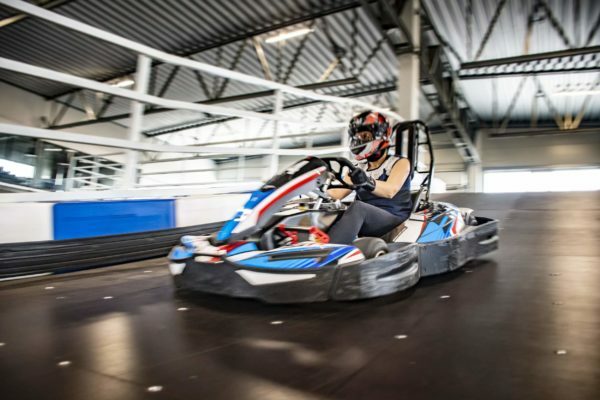 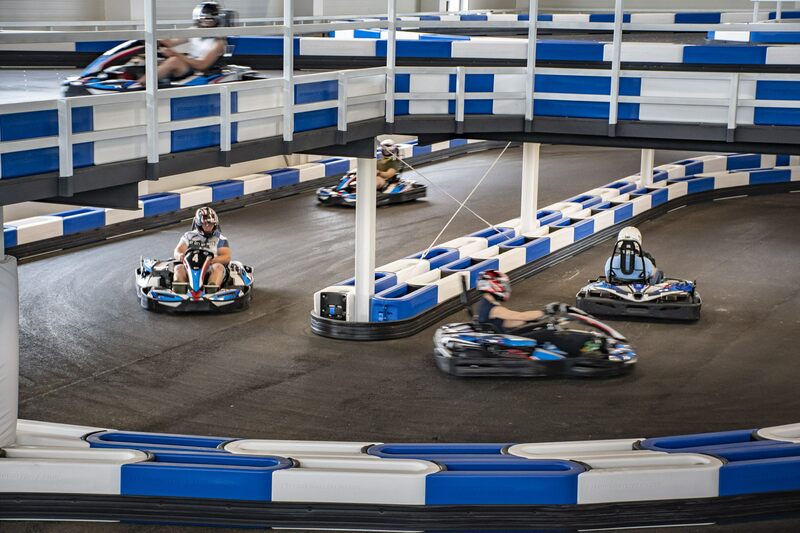 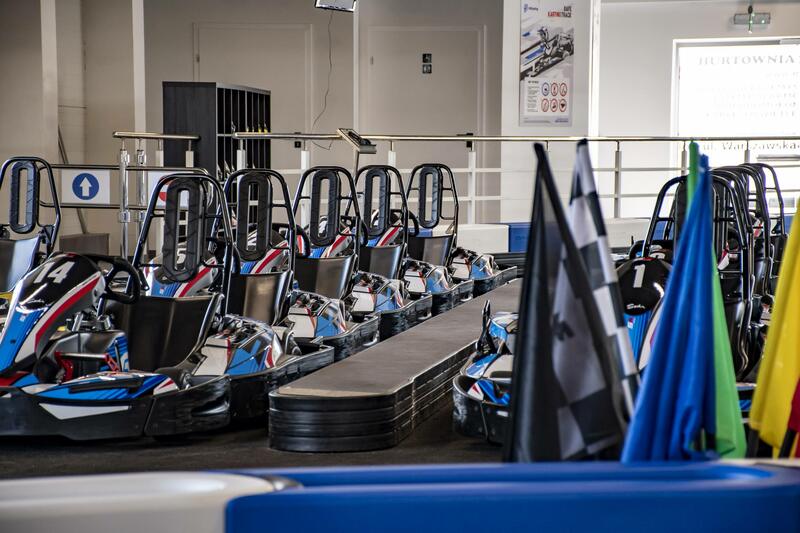 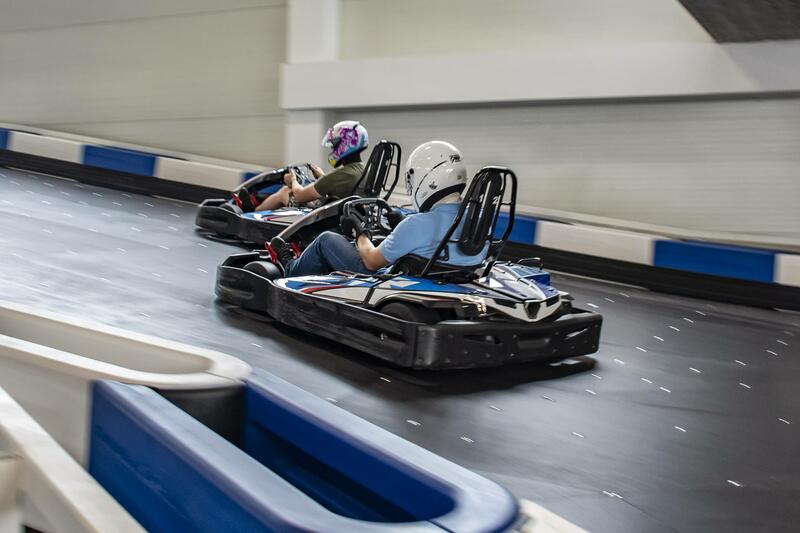 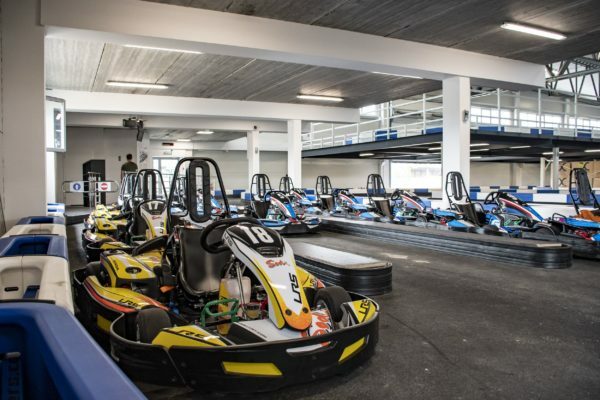 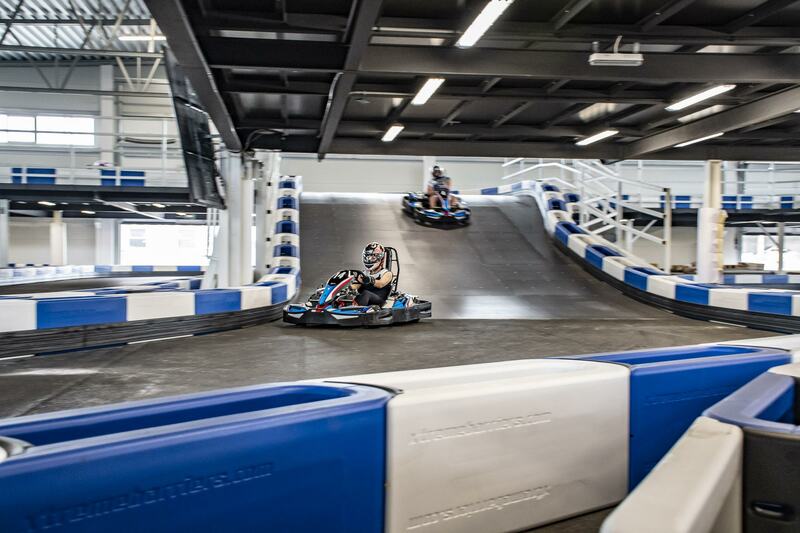 We offer 20 brand-new SODI karts – the most developed indoor go-karts in the World. 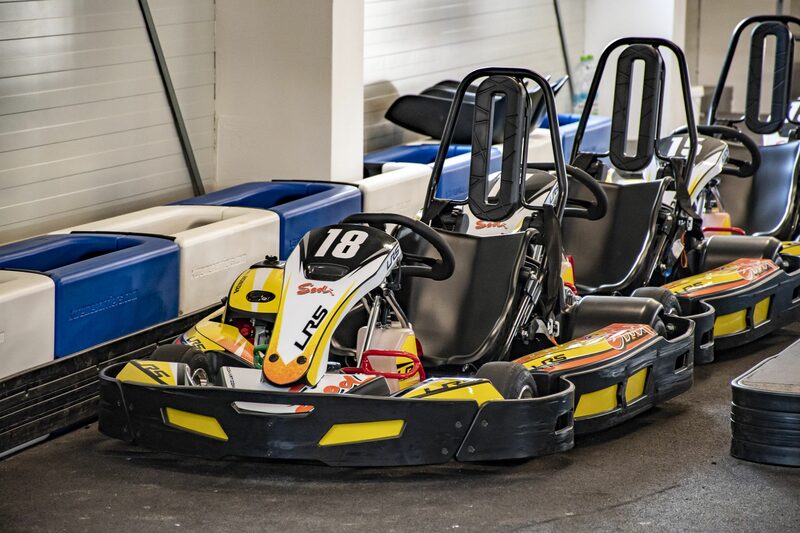 For the youngest drivers we offer junior karts – SODI LR5. 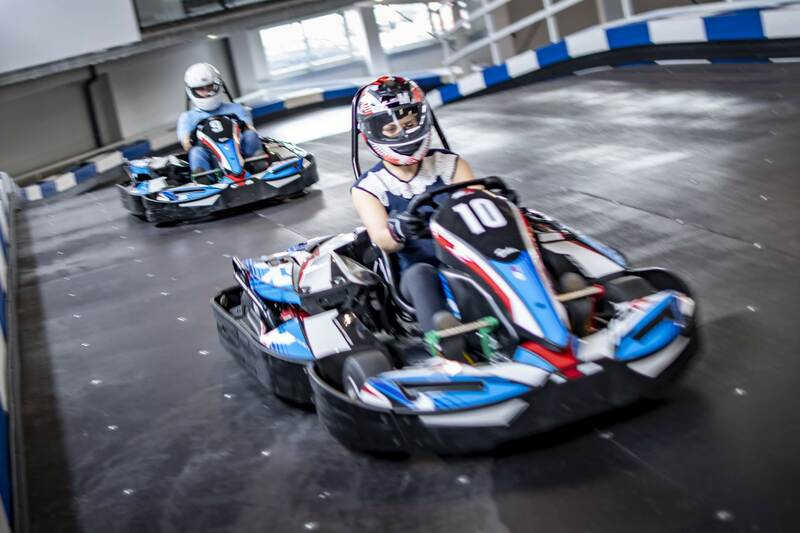 Thanks to pedals and seat regulation as well as steering column regulation, youngest drivers (even 6-years old!) 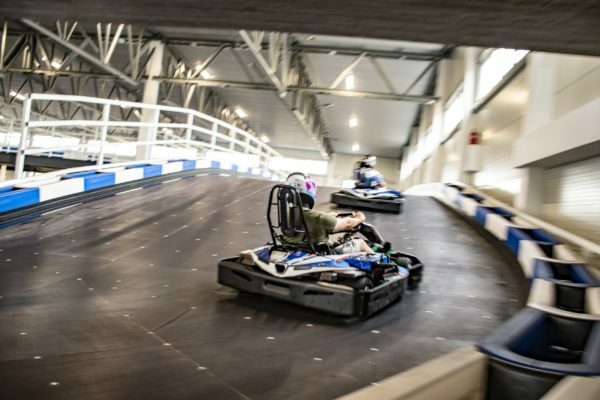 can drive with comfort and safety. 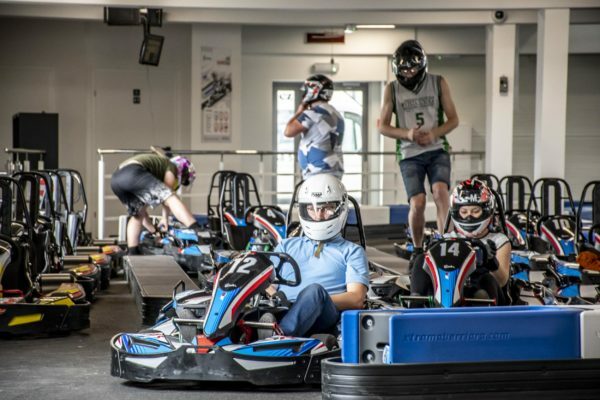 In the nearest future we will provide you with the information about the Karting School and individual lessons with our karting trainers. Senior Go-karts are the SODI SR5 model. We also have the tandem go-kart SODI 2Drive. 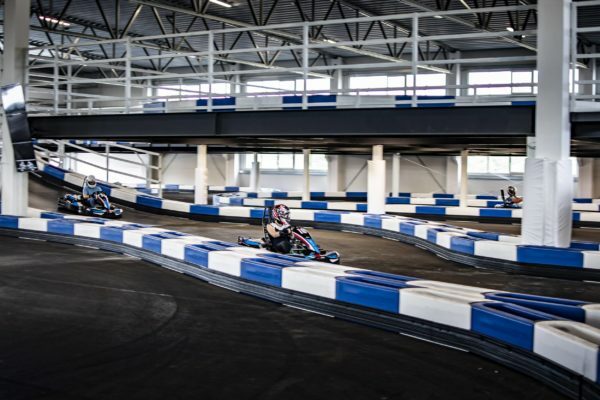 Fighting for the best driver at our track will be available at our Karting League (starting soon!) 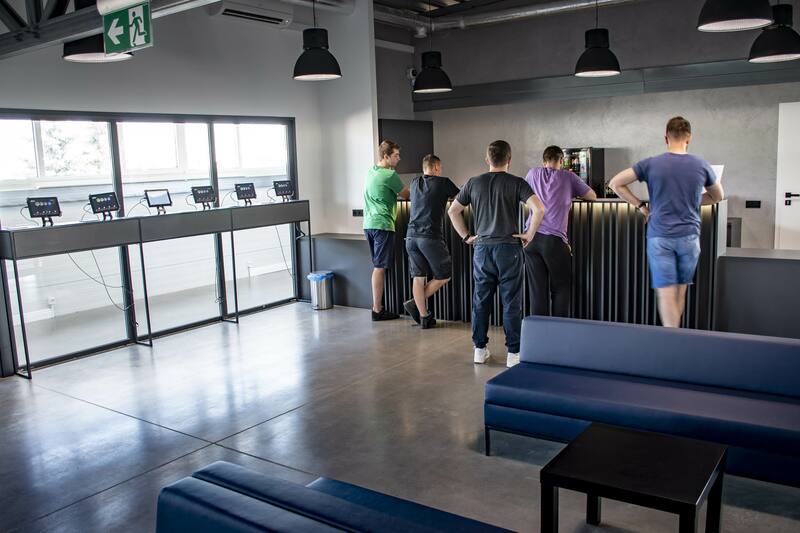 – stay tuned. Karting is in many cases the first level of becoming professional racing driver. Our track provides a lot of fun for amateur drivers as well as possibilities to training more experienced drivers.